Camp Eagle Pride provides a fun-filled summer for boys and girls. Come join us for swimming, crafts, field trips, sports, and games. May 28 - Aug. 2* (M-F / 7:00am - 6:00pm) *Note: There will be no camp Thursday, July 4th. Camp Big Blue is specfically designed for rising kindergartners and uses proven strategies that enhance cognitive development and lay the best possible foundation for life-long learning. Camp includes: water adventures, gymnastics, a learning lab, an art studio, and off-site/on-site field trips. Big Blue is open 6:30 a.m. through 6:00 p.m. If a camper is registered for another NCS enrichment camp that day, cost is 50% of the daily rate. May 28 - Aug. 2* (M-F / 6:30am - 6:00pm) *Note: There will be no camp Wednesday, July 4th. Campers may be dropped off before their first camp starts (7 am - 9 am) and picked up after the second camp is over (3 pm - 6 pm) from Camp Eagle Pride. 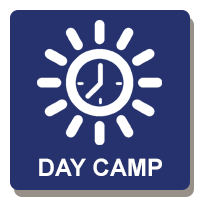 If your child is scheduled for two camps in the same day, they may go to Camp Eagle Pride for lunch supervision between sessions as well. At this camp, your student will learn how to bake. This is a very hands-on cooking class. Campers will learn several fundamentals of working in the kitchen and maybe even be inspired to become a baker. Of course, the best part will be sampling the delicious creations! If you have a creative kiddo, then look no further! During Craft Club, your child will complete exciting and unique crafts to take home each day. Students will also have access to Makerspaces and Exploration Stations after their crafts are finished. This club will provide a great opportunity to make connections with friends who share a love for creativity and crafting! Dungeons & Dragons, the popular tabletop game, has been called “The most fun you can have with your brain”. It cultivates creativity, social skills, problem-solving, cooperation in a group, and is just a good time! By the end of this camp, you will know how to run D&D, you will have the start to your own world in which to run it, you will have the ability to continue to grow that world, and you will have a handful of materials to help to prepare and run the game smoothly. A camper will leave at the end of the week with a set of polyhedral dice, a DM screen full of tips, charts, and references, and a folder detailing their unique hand-crafted world. Students will discuss fun topics like their favorite movies, tv shows, sports, books, celebrities, etc. while enriching their communication/social skills as well as public speaking skills with the guidance and teaching of a licensed and credentialed Speech and Language Pathologist. 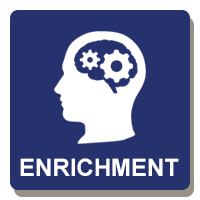 Students will participate in effective listening, expression, and persuasion tasks through games, conversations, and videos. This camp is for all students from all backgrounds. It will enrich college interview/ oral presentation skills, teamwork and communication during sporting events (e.g., calling out plays and encouraging teammates effectively), self-advocacy skills, navigating free time/socializing, and playground/lunchtime/P.E. interactions. Campers will use artist’s tools and materials to experience a variety of studio arts! 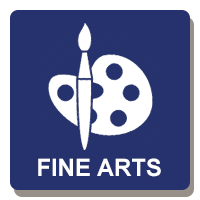 They will explore 2D and 3D processes to create drawings, paintings, sculpture, and clay projects. Each session will vary in theme to encourage students to find fun new ways to express their own creativity! Supplies included. Students will explore ballet, jazz and contemporary set to The Greatest Showman soundtrack. They will learn basic technique and choreography for each dance discipline. Campers should wear comfortable clothing that moves with them. They will need a snack and a water bottle. A short performance is scheduled for 2:30pm on July 18. Students will explore various dance disciplines, with a strong focus on jazz and contemporary technique. They will learn basic technique, increase spatial awareness, coordination and flexibility. Campers should wear comfortable clothing that moves with them. They will need a snack and a water bottle. A short performance is scheduled for 2:30pm on June 13. Students will explore ballet, jazz, contemporary and hip hop dance set to our favorite Disney tunes. They will learn basic technique, increase spatial awareness, coordination and flexibility. Attendees should wear comfortable clothing that moves with them. They will need a snack and a water bottle. A short performance is scheduled for 10:30am on June 6. Students will explore ballet, jazz, contemporary and hip hop set to our favorite Fairy Tales. They will learn basic technique, increase spatial awareness, coordination and flexibility. Campers should wear comfortable clothing that moves with them. They will need a snack and a water bottle. A short performance is scheduled for 10:30am on July 11. This camp will focus on two-dimensional art. We will explore many different mediums from drawing to painting and even mosaics. Students that stay for the whole day (both sessions of iCreate Camp) may bring a lunch. Snacks will be provided during each session. This camp will focus on three dimensional art. We will create sculptures from many materials such as wood, clay, and wire. The down times will be spent learning other art disciplines like knitting, weaving, and book illustration. We will also take some breaks to play outside and get some fresh air. Students that stay for the whole day may bring a lunch. Snacks will be provided during each session. This 4-day camp will equip you with a pyrography pen and the skills to safely use it. We will examine the topics of safety, choosing wood, shading, line art, tracing, and free handing. By the end of the week, you will leave with a pyrography pen with multiple tips, a wooden ornament of your own design, a small wooden board with your own freehand art, and a wooden box decorated by you! It doesn’t matter if you have the newest DSLR camera, or just the camera on your phone—this camp is for you. Campers will learn some of the basic principles of photography while focusing on creativity. They will be given challenges and themes throughout each of the sessions that will stretch their imaginations and develop their creativity. Students choose their dance discipline between ballet, jazz and contemporary. Please email Jennifer Kubik at kubikj@nashvillechristian.org to coordinate lessons. Students will explore ballet, jazz, contemporary and hip hop set to our favorite Retro songs. They will learn basic technique, increase spatial awareness, coordination and flexibility. Campers should wear comfortable clothing that moves with them. They will need a snack and a water bottle. A short performance is scheduled for 2:30pm on June 20. Join us for All Sports Camp, where campers participate in a range of different activities. From learning the basics of sports to playing active games, there is something for everyone at All Sports Camp. 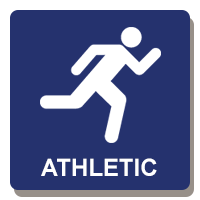 Including soccer, basketball, football, floor hockey, baseball, softball, etc. We will take trips to Bentwood Skate Center, Putt Putt Mini Golf, and an Indoor Trampoline Center. This camp provides valuable instruction on the fundamental skills of baseball. The focus will be on teaching efficient mechanics for throwing, hitting, fielding, and base running —while emphasizing the mental aspects of the game. This camp will also bring in guest speakers with professional and college experience to sign autographs, interact with the kids, and share some stories about their playing days. The camps’ focus will be to demonstrate and instill the core fundamentals of basketball, including: passing, shooting, dribbling, body positioning, court awareness, and motivation. High school players will serve as assistant coaches and mentors to the campers—providing multiple opportunities for personal attention and a one-on-one work environment. Fundamentals will be reinforced through supervised games of three-on-three, four-on-four, and of course five-on- five. Cheer Camp’s main purpose is to inspire spirit on and off the field. The NCS Varsity Cheerleaders will assist the coaches in teaching cheerleading fundamentals such as motions, cheers, sidelines, dances, jumps and stunts. This camp will divide participants into groups of similar age/skill level for a slightly more intense football experience. While contact is part of the camp, it is not a full scrimmage atmosphere. Helmets and shoulder pads are required. Rentals are available upon request. Coach Jeff Brothers and his staff will instruct campers with the same drills and techniques found at the high school level and beyond. This camp provides instruction for all levels of development. This basketball camps’ primary goal will be to emphasize the core fundamentals of the sport to the athletes. Nashville Christian high school players will serve as assistant coaches and mentors to the campers—providing a unique opportunity for one-on-one work and personal attention. The camp’s objective is to help each individual develop skills in hitting, fielding, and throwing. Campers will also learn how to bunt and slide. Infield and outfield play will be stressed as well as good baserunning technique. Campers will learn the proper techniques in this camp designed for the player just beginning. They will learn the basic skills of soccer and use them in fun-filled skill development games. Including dribbling, passing, receiving and shooting. This camp will cover all the fundamental skills of volleyball including passing, serving, setting, hitting and blocking. Players will work by position to learn and master all the skills necessary to compete at the highest level of competition. This camp is for the novice wrestler. The camp will focus on the basic fundamentals of wrestling with live competition daily. Participants will learn takedowns, pinning combinations, tilts, escapes, and reversals. Our camp mission is to encourage all young wrestlers to develop a love of the world’s oldest sport, as well as to teach them the rules and techniques for middle and high school competition. This camp is for the experienced wrestler. The camp will focus on the basic fundamentals of wrestling with live competition daily. Participants will learn advanced takedowns, pinning combinations, tilts, escapes, and reversals. Our camp mission is to encourage all young wrestlers to develop a love of the world’s oldest sport, as well as to teach them the rules and techniques for successful middle and high school competitions. This camp will be taught by out High School wrestling coach as well as college wrestlers.